How are you today? hope fine. First of all i revealed my self to you, and I will require the best of your honesty after your knowing about me and whom i am, I will really like us to have a good relationship in spite of anything because I have this feeling that you are my life and you will not betray me. My dear like i told you in my first mail my name is Blessing jammeh I'm 23, from Liberia in West Africa , 5.11ft tall, Fair in complexion,(never married before) and presently i am residing in the refugee camp here in Dakar as a result of the civil war that was fought in my country. My late father Late Dr david.jammeh was the personal adviser to the former head of state before the rebels attacked our house one early morning and killed my mother and my father in cold blood.It was only me that is alive now and I managed to make my way to a near by country Senegal where i am living now in a refugee camp. My dearest, In this refugee we are only allowed to go out two times in a week.Its just like one staying in the prison and i hope by Gods grace i will come out from here soon. James) who is the pastor of the (Living Christian Church) here in the refugee he has been very nice to me since i came here but i am not living with him rather i am leaving in the women's hostel because the refugee have two hostels one for men the other for women. The Pastors Tel number is (+221-76-75-59-101) if you call tell him that you want to speak with me he will send for me in the hostel. As a refugee here i don't have any right or privilege to any thing be it money or whatever because it is against the law of this country.I want to further my studies because i only attended my first year before the tragic incident lead to my being in this situation now took place. Please listen to this,i have my late father's deposit certificate and death certificate here with me which i will send to you latter,because when my father was alive he deposited some amount of money in a leading bank in Europe which he used my name as the next of kin,the amount in question is $9.7M(Nine Million seven Hundred Thousand Dollars). So i will like you to help me transfer this money to your account and from it you can send some money for me to get my traveling documents and air ticket to come over to meet with you.I kept this secret to people in the refugee here, the only person that knows about it is the Reverend because he is like a father to me. Remember i am giving you all this information due to the trust i deposed on you.I like honest and understanding people,truthful and a man of vision,truth and hardworking.fluently Meanwhile i will like you to call me like i said i have a lot to tell you. Dearest i want you to know that age or distant doesn't matter anything but love matters a lot of things. I would like to know more about you, your likes and dislikes,your hobbies and what you are doing presently.I will tell you more about myself in my next mail. Attached here is my picture, i like to see yours. I have been directed by the director of Foreign Operation/Wire Transfer to write you in respect to your partner mail which we received earlier. Actually,we have earlier been informed about you by the young lady Miss Blessing Jammeh(the next of kin)that she wishes you to be her trustee/representative for the claim of her late father's deposit with this bank. Her late Father(Dr David Jammeh) is one of our late customers with sum substantial amount of money he deposit with us.Hence you have been really appoint,However before our bank will transact any business concerning the transfer of the fund to your bank,we will like you to send the followings immediately to our bank. 3.A copy of statement of account issued to her late father by our bank.. Note:The above Three documents are compulsory,and are needed to protect our interest,yours and the next of kin after the transfer has been made.These shall also ensure that a smooth,quick and successful transfer of the fund is made. Subject: FROM DR.BARRISTER PHILIP CHRISTOPHER CHAMBERS. Rue 48 Yoff Street (2nd-floor) Dakar Senegal. In accordance to your email on how to prepare a power of attorney for you and your partner Miss Blessing Jammeh. 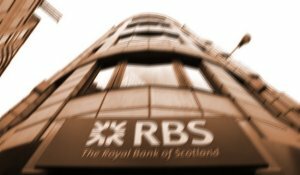 This is to inform you about the issuing to you an authorization document that will enable you stand on her behalf to transfer her money from ROYAL BANK OF SCOTLAND to your account in your country or else where. Prior to my inquiries from the bank and The Federal High Court here in Senegal, I understand from the bank that there are three documents required by them before the transfer of the money to your account.1.A copy of Death certificate of late Dr David Jammeh. 2.A copy of His Deposit Slip. with the name of my secretary through western union money transfer system, to enable me to go and make appeal on your favor at the federal High Court by tomorrow for the legal document requested by Royal Bank Of Scotland. Here is the receiving name for the western union money transfer system. ADDRESS NO RUE ...........48 Yoff Street (2nd-floor) Dakar Senegal. You are advice to call or email me as soon as you send this money. i wish to serve you with the best of my ability,send the money and call me with the number given to you for immediate reaction and the documents will be made available within two working days.